What are you up to this weekend? We are hoping to visit a castle or two, there are so many castles and ruins around our area. If you are looking for some reading here are a few Montessori related links are articles that I've been enjoying this week. Jeff Bezos says he will use his riches to open Montessori preschools at Chalkbeat! Have you seen the Toggler?? The Toggler allows young children to use-out-of reach light switches. It's easy to install, completely removable and can be re-used on other switches. Designed in Canberra. Pre-Orders are open here. Use the promo code: earlyadopter for $5 off each purchase. It is the only product that I know of its kind made specifically for Australian light switches. Please share this with any Australian families or schools that might be interested. This is a sweet story about finding a good preschool for your child, Our Montessori Preschool Story at des moines moms blog. Are you liking anything from Ikea's new range? I wish I had space for their new Ypperlig Children's Table and benches, I love the design (I'm sure I could make them fit somewhere?). The Skogsliv card game could be used as matching work. I haven't seen this children's baking set before, it looks good, these are real tools not toys. I think might be time for a new post about our Ikea finds. Cardiff Montessori have put together a Positive Language and Behaviour Management: A Montessori Approach booklet, it's well worth downloading and reading, for parents, caregivers and, teachers! I've got so much out of reading it. 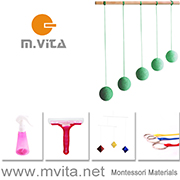 Are you interested in doing a Montessori at home online course? Bella's Casa are offering their Montessori Home Set-Up E-Course to the value of $299 USD to one How we Montessori reader, open worldwide. If you would like to enter please leave a comment at the end of this blog post stating what is one area of your home you would like to improve for your children? Entries will close Wednesday 19th September 2018 9pm British Summer Time. Registrations for the course are now open and you can get a $50 USD discount using the coupon code MONTESSORI50. For further details about the course please read here. These are nice visuals around healthy eating - Healthy Alphabet Cards from Teepee Learning. The photographs are lovely and they have a recipe on the back. They are also a downloadable product which makes them really affordable ($15 AUD) and accessible worldwide, I've just downloaded mine. My children have been enjoying growing crystals this week, but not with a lot of success, let me know your best tips. Have you seen the new go find it too cards? They have just been released and are a follow up to the popular go find it scavenger hunt game. It is an instant natural treasure hunt that invites children to use all of their senses. Players are encouraged to develop a curiosity of the natural world through hands-on sensory exploration. What's more, the uniquely designed cards help develop word recognition and language development through play. The cards are really delightful, they invite the children to use all of their senses in a way we might not have thought of. They can take a playdate or a nature walk to the next level, with the children engaging in a meaningful way with their natural environment. The more connections with can make between our children and their natural environment the better! The game can last five minutes or all day! Suitable for ages 3 years + but don't underestimate their age range, I think many adults would enjoy playing this with their children too. Otis and Caspar both love playing. Nature is a good cure-all and playing this game outside just releases endorphins. I recently took these to a playdate with children we didn't know very well and it helped the children get to know each other and bond really quickly, they all had a lot of fun. The cards are the perfect size to pop in your bag (or nappy bag) and take out with you. There are 31 cards in the pack, they are durable and come in a small easy take anywhere drawstring bag. go find it too cards are currently available at the Sensory Trust (UK) and will soon be available on Amazon US and UK. You can currently find the original go find it cards on Amazon (US and UK) here. The go find it too cards are wonderful to use on their own or can be used together with the original go find it cards. They also make a good gift for friends or family!! Our go find it too cards are c/o the Sensory Trust! Thanks to the Sensory Trust I also have one set of go find it too cards to giveaway. If you would like to enter the giveaway please leave a comment below in the comments section of this blog post letting me know your favourite outdoor area for exploring. Please only one entry per family. Open internationally. Comments will close Sunday 16 September 2018 at 9pm BST (British Summer Time). Have you seen or used Magic Nuudles before? I hadn't heard of them until recently. There were a few reasons I really wanted the boys to give them a try. They are bright, colourful and interesting but also they are made from cornstarch and are fully biodegradable! Wow! They are also so different to all of the other arts and craft materials we have tried before. I couldn't wait to see how the boys would use them! Our pack came with 400 Magic Nuudles. They are perfect for children from 3 years and up. The pack comes with an awesome instruction manual. It is amazing what you can build with the Magic Nuudles (you can see some examples here at the bottom of the page), however, we really love how open ended they are and the boys just like to tinker and create away. There are lots of printables available that you can see Otis using above and below. You can twist, mould, shape and cut the Nuudles. Each Magic Nuudle needs to be moistened (there is a sponge in the pack) to adhere to paper, other Nuudles or the magic paper. Then you can press them together or onto the paper! We've really enjoyed the educational benefits of the Magic Nuudles. 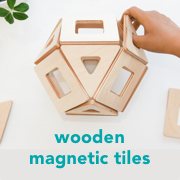 They are great for developing fine motor skills and they can also be used as a tool to teach or explore patterning, construction, numeracy and literacy. Below Otis is building a house with walls, windows, and a door. Magic Nuudles are perfect to have on hand for a rainy or sick day, school holidays or to present simply in a tray on the children's shelves. They would make a really fun gift! Also suitable for school or daycare arts and crafts! Magic Nuudles are safe, non-toxic and completely biodegradable. All products in this post are c/o Magic Nuudles. We have one 400 piece Magic Nuudles box (with user manual and sponge) plus some Magic Paper to give away, as shown below. To enter have a look at the Magic Nuudles website and leave a comment in the comment section of this blog post telling me what you like most about this product. Comments close 8pm Australian Eastern Standard Time, Sunday 5th March 2017. This giveaway is open for Australian residents only. Please, only one entry per family. You can also enter a giveaway at the Magic Nuudles Facebook Page. All you have to do enter is to like this post and comment #BeANuudler. This prize will be drawn March 16th. I also have a discount code for you! To receive a 15% discount on your order at Magic Nuudles until the end of March 2017 simply use the discount code ‘FUN15’ at the checkout. This discount is exclusive to How we Montessori readers! Comments have now closed. Thank you for your entries! There is something really fascinating about the medieval times. I think most children go through a period of being interested in history and castles and knights. Play is a great way to learn about or extend knowledge of history. And when we are learning about history we gain a better understanding of our world and possibly our place in it. Both of my children love playing with knights and were thrilled to read and play with Build! A Knight's Castle: Paper Toy Archaeology, which has been provided to us for purposes of review. It is part book, the front section has lots of fantastic facts and illustrations about the medieval times and archaeology. The rest of the book contains cardboard pieces which can be used to build a castle and a medieval community. Caspar (8yrs) was so excited about making his own battle scene. Almost independently he built the cardboard pieces. They pop out of the page and with some folding they all fit nicely together. A younger child will need help to build it, especially the castle. For hours he positions and moves the knights, the archers, the siege tower, the trebuchet and the battering ram. This is PERFECT for any child interested in knights and medieval life!!! It's a good resource to learn and become familiar with medieval terminology and for role play! Build! A Knight's Castle: Paper Toy Archaeology allows a child to read, absorb some facts and then put that knowledge to use in building and playing with the model pieces. It's a great resource. I have one copy of Build! A Knight's Castle: Paper Toy Archaeology to giveaway. How awesome it would be to have a copy delivered to your address! To enter please leave a comment in the comment section below this blog post. Comments close 8pm Sunday 20th December AEST (Australian Eastern Standard Time). Please only one comment per email address. A huge thank you to Storey Publishing for supplying the books we have received for review and giveaway this year! If you are looking for other gifts I also recommend Cooking Class: 57 Fun Recipes Kids Will Love to Make (and Eat!). We have no Montessori at Home link up this week, the link up will resume in the new year. Thank you. Comments have now closed. I know that a lot of parents of young children think about emotional intelligence. How do we give children the ability to be aware of, control and express their emotions, how do we prepare them for reading other people's emotions, to discrimination between emotions, empathise with others and potentially diffuse conflict? Both of my children have had emotions puzzles in their classrooms and there are books on the topic. But what if there was a resource that covers a wide range of emotions that was also modern and fun to use? I know a many parents would love to learn more about children and emotions but don't know where to start. In consultation with parents and educators Marie-Claire from So Awesome has developed Emotions Children's Wallet Cards. This is a really unique product, they can be used in a proactive way, as a discussion starter, thought provoker a point of reference at home and schools, preschools and special needs classes.
. The Emotions Wallet Cards feature 36 emotions! Each emotion has been photographed and illustrated. Genuine expressions are used from real children ages 0 to 13 years.The deck is intended to introduce children and adults to the wide range of human emotions and to help strengthen social-emotional skills, helping young children navigate their way through the social emotional language of the people they meet everyday. The Emotions Wallet Cards are the same great quality that we know from the So Awesome family of Wallet Cards. Non-toxic (third-party approved for safety, materials and durability), for all ages, made from durable plastic, made in the USA and Montessori-infused. The So Awesome Wallet Cards are also known for being modern, colourful and gorgeous. This deck features photography from Rhiannon McCalmont and illustration from Marie Thorhauge. Placeholders have been used here but more about the photographer and illustrator can be found here. In addition to the Emotions Wallet Cards Marie-Claire has also developed Emotions Scenario posters and an Emotions Companion poster. The posters really extend the use of the cards. Children can study the pictures and match their cards to the poster and in the scenario posters they can study the pictures, identify emotions and discuss how each of the children are feeling. The Emotions Wallet Cards are a part of the So Awesome Kickstarter Campaign. Marie-Claire has also developed new wallet cards including Seasons, Pets and House. This Kickstarter campaign literally only has a few days to run. I would love to see these cards go into production! Funding pledges start at just $1. Kickstarter is all-or-nothing funding for creative products, supporting new projects is quick and easy. The campaign is open until April 29, 11 am EST (US). If you are interested in making a pledge it is important to note that in the $45 reward you can get all of the the new decks which ship in the US for free or ship $5 world-wide. This is really great value. If you would like to see these cards in your home or school your help is need now. "If you know a teacher, if you know someone in the special needs arena of education, please tell that person, we've heard a lot of need for something like this that is affordable, that is genuine, that is beautiful and we hope to bring all those things to you in this deck." - Marie-Claire from So Awesome. You can back the campaign here. Please share this link with anyone you feel might be interested. So Awesome would like to thank each and every backer! If you have backed this campaign I encourage you to leave a comment in the comment section of this blog post. We will select one (1 only) lucky backer to receive a matching reward for a friend, $100 in SO Awesome store credit and $100 SO Awesome store credit for a non-profit or school of their choice. Comments will close 8pm 29 April 2015 Australian Eastern Standard Time. A couple of months ago I ordered some materials from Indigo Inspirations. I wanted to give my children (aged three and seven) lots of inspiration for crafting and making. I wanted natural materials that were really beautiful. I picked up the Wooden Knitting Fork with Hand Painted Rainbow Wool, Hand Painted Wool Fleece for Wet or Dry Felting, Wool Fleece Felting Kit (it comes with felting instructions) and some Hand Dyed Wool Felt. But I could have ordered so much more. We quickly tried wet felting which you can see here. I originally thought of Caspar (seven) when I selected the wooden knitting fork. However it was Otis that asked to use it first. Otis has done some French Knitting before usually sitting on my lap and working together. With the fork I started the knitting and gave a bit of a Montessori style demonstration. It was hard for him for the first few minutes. It may be easier to demonstrate with the child sitting on your lap as they can clearly see where to put their hands. It helps if the child has the same dominant hand as you - with Otis I try and demonstrate with my right hand being dominant (he is right handed, I am left). Although Otis does/has changed hands while knitting. Slowly and deliberately I demonstrate in silence. And then Otis takes over holding the fork and slipping off the knots. After a bit of practice he takes over doing the figure eight around the fork and pulling through. As you can see Otis' knitting is loose and uneven, tension isn't a word I'm going to use with him just yet. He has dropped a few stitches and has often wound the wool too many times around the fork. No problem - it's really easy to continue, this is a time to relax and allow the child to enjoy the process, enjoy their success. This is great work for building concentration, fine and gross motor skills, coordination and confidence - they can make something really useful and really beautiful. Please note that this is not a sponsored post. I did not receive payment or goods for hosting this giveaway. This is a product that we really enjoyed and wanted to share with you. This giveaway is for one Wooden Knitting Fork with Hand Painted Rainbow Wool. To enter please visit Indigo Inspirations on Etsy and have a look at all of the gorgeous products Jo has on offer. Come back to this blog post and leave a comment in the below comment section. We would love to hear about the handwork/making/crafting you are doing at home or in your classroom. Please only one entry/comment per person. The give-away is open internationally and will close on Monday 16 February 2015 at 8PM Australian Eastern Standard Time. You can also visit Indigo Inspirations on Facebook and Instagram for more crafting inspiration. Thank you to Jo from Indigo Inspirations for providing this give-away. Thank you for all of your comments. I know Jo appreciates all of your kind words. Comments have now closed and the recipient will be notified shortly. If you have been following you will know that I have been watching a few Montessori in the home DVDs. There is and has always been one stand out. Edison's Day. Edison is 20 months old and the DVD follows him for one day. It is perfect. It is as Montessori as possible. Both of Edison's parents are Montessori trained, keep this in mind for perspective. There are so many great ideas featured, mostly aimed at independence but also at nurturing the child's spirit. Being in a visual (and audio) format everything presented is so practical, you can see how Edison does it or how his parents present it. You can see his home and how he moves and how he plays. It really is a brilliant example that we can all aspire to. If you are interested in viewing Edison's Day I suggest contacting your local Montessori school or community group (preschool, playgroup etc). I believe that many groups keep this in their parent's library. Edison's Day is not available to view online. Meg mentions Edison's Day here and Sara mentions it here. Because I have benefited so much from this DVD I want to offer it to others. I have for giveaway one copy of Edison's Day. To enter please leave a comment in the comment section of this post. There is one condition. To enter you must commit that if you are the recipient you will share the DVD with others, pass it on to another family when you are finished with it or keep it in a school/pre-school parent library. The give away is open internationally and will close Friday 10 May at 10pm Australian Eastern Standard Time. Please only one entry per person. P.S I have another great giveaway (At Home with Montessori DVD) on my Instagram page. I'm new to Instagram so I would love it if you came over and said hello. Editied 10 May. Comments have now closed and I am counting entries right now. I really wish I could send a copy to everyone but the DVD is going to Akila. Akila I will be emailing you very soon. A New Kickstarter Campaign, Coupon Code and a Giveaway! Do you remember Marie-Claire? She's a mom to twins, a go-getter and now a business owner! She was also a Montessori child! I know I'm biased but I believe parenthood can bring out the very best in people. I love it when someone can overcome the busyness of parenthood and design a product not only for their own children but for all of our children. Even more admirable when the product is innovative, smart, biodegradable and non-toxic! Marie-Claire's first project was a beautiful set of Children's Alphabet Wallet Cards designed by Australian artist Marc Martin. You can see how Owen and Silas use their alphabet cards in the photographs below. Marie-Claire also provides some play ideas for the cards on her site So Awesome. Well, she is at it again! More cards...Colour & Shape, Numbers, GO! and My Wallet! • Colour & Shape – beautiful combinations of colours and shapes in French, Spanish and English (illustrated by modern ink and watercolour artist Nomoco of London). • Numbers – fascinating depictions of common household items in French, Spanish and English (illustrated by husband and wife team Eugene & Louise of Belgium). • GO! – cool paper-cut images of people moving in exciting ways (supported by Montessori-infused grammar identification "The boy skis down the hill. ")(illustrated by Jared Andrew Schorr of California). • My Wallet – a set for pretend play! Cards, play-money printed on Tyvek, a durable wallet and a companion digital toy iOS app (illustrated and developed by Marie-Claire and her husband Victor). If you love the Alphabet Cards you might be interested in these cards too. The process for backing this project is just the same - click over to Kickstarter for further information. If you're not familiar with Kickstarter please take the time to have a look through Marie-Claire's pages and updates. It's important to remember that to get these additional cards to production the goal funding must be met. And there is only 11 days to go! You can pledge as little as $10 for a set of the Colour & Shape, Numbers or Go! Decks. If you backed Marie-Claire on her first project (the Alphabet Wallet Cards) and back this campaign you get a free wallet! Further details here. If you would like to purchase a set of Alphabet Wallet Cards, Marie-Claire is offering 25% off to all How we Montessori readers using the coupon code HOWWEMONTESSORI25. So what's the giveaway? Marie-Claire has been kind enough to offer one reader a set of Alphabet Wallet Cards. To enter all you need to do is leave a comment in the comment section of this blog post. Please only one entry/comment per person. The give-away is open internationally and will close on Monday 25 March 2013 at 10PM Australian EDT. Do you remember the little book that Sara, Angie and I wrote a while ago? Kids in the Kitchen is available on Amazon and The Book Depository. Remember all funds from the sale of the book go towards Montessori for All. Would you like a copy? I have two books to give away. To enter simply leave a comment in the comments section of this post. Comments close 10pm AEST (Australian Eastern Standard Time) Thursday 11th October 2012. The giveaway is open internationally but please only one entry per person. Thank you to everyone who entered comments have now closed.